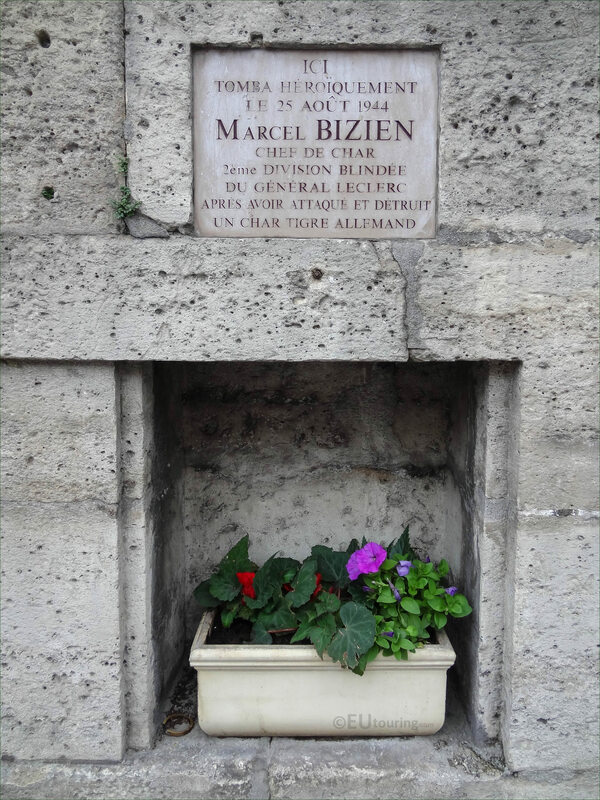 These high definition photos shows a part of a World War II memorial on the wall of the Jardin des Tuileries in the 1st Arrondissement of Paris, which is dedicated to Marcel Bizien. During the Liberation of Paris, there were many that lost their lives in the city and families were asking for memorials to be put in place, and the Bailly family requested a memorial for their son at the location where he died, which was right by the Place de la Concorde. 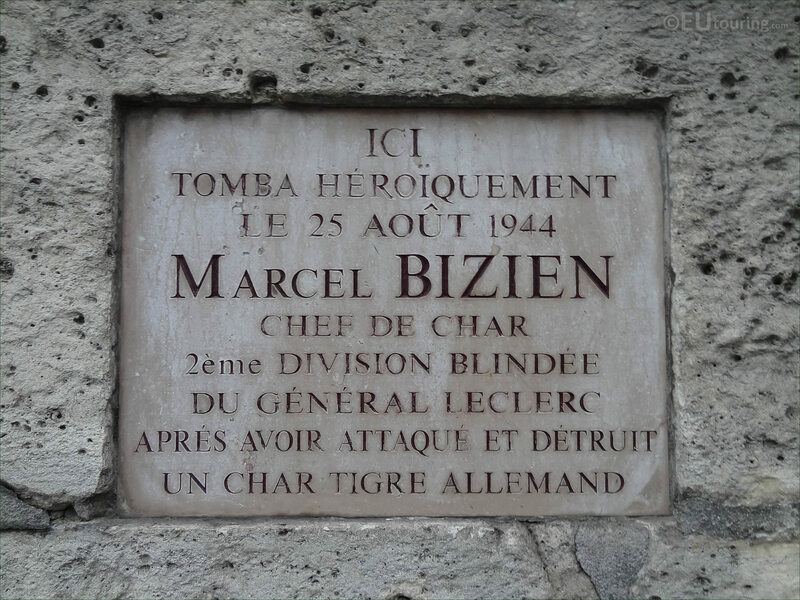 Then the Comite de Liberation de L'Hay-les Roses requested that Tank Commander Marcel Bizien, who was killed on the Place de la Concorde as he dismounted his Sherman tank should also have a commemorative plaque and this is when Marie-Helene Lefaucheux, vice president of the post-liberation Municipal Council, became involved to make this happen. 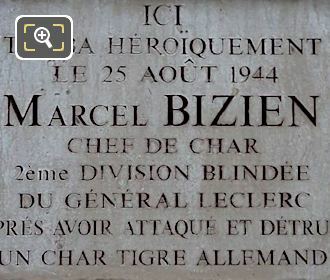 There are actually ten different plaques for this World War II Memorial and all have different inscriptions, and here you can see a close up HD photo showing the commemorative plaque dedicated to Marcel Bizien, and when translated into English this says, Here fell heroically on 25th August 1944, Marcel Bizien tank commander of the 2nd DB of General Leclerc after having attacked and destroyed a German Tiger Tank.